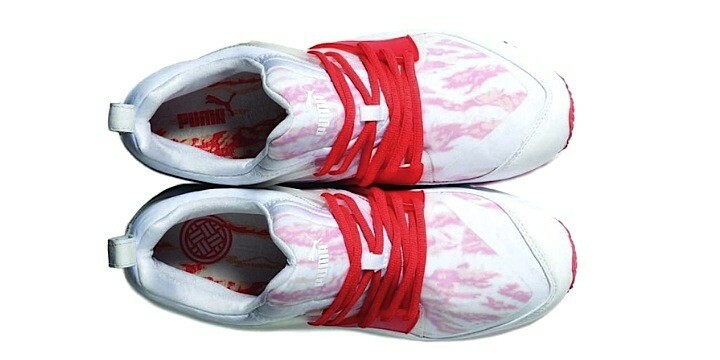 This exclusive model by Puma has been realized in collaboration with Hypebeast and it belongs to "The Dim Sum Project". 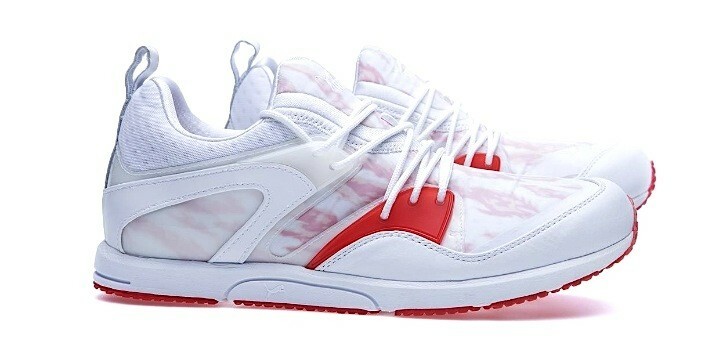 The sneaker was born as an hybrid of the famous Blaze of Glory and it takes inspiration from two characteristic plates of the Chinese tradition that often happen to be served together: Har Gao, a shrimp dumpling, and Siu Mai, a pork dumpling. 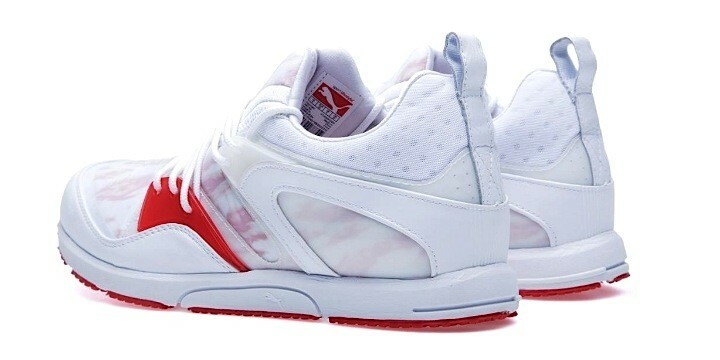 This LTWT version boasts extraordinary features: leather and nylon uppers, flexible rubber midsole, neoprene Sockliner insole and extreme lightness, for a peerless comfort.